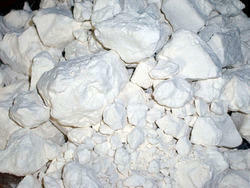 We are involved in offering a comprehensive range of optimum quality Kaolin Lumps to our clients. Kaolin or china clay is a natural mineral found in partly decompo-sed granite, an igneous feldsparic rock. These are usually formed when granite is changed by hydrothermal metamorphism. The Kaolin Lumps made available by us is processed using latest technological advancements. Avail from us highly impressive range of kaolin lumps. Kaolin lumps provided by us are highly appreciated by our clients for their supreme quality and efficiency. We conduct strict quality tests under our experts which enable us to provide high quality end product to our clients. Our organization is one of the renowned organizations that manufacture a wide array of China Clay all over the country. This is formed when the granites gets changed by the hydrothermal metamorphism and is offered in purest form of clay. These products are highly applicable in various industries. Aimed at prosperous growth in this domain, we are instrumental in manufacturing an excellent quality range of White Kaolin Chunks. 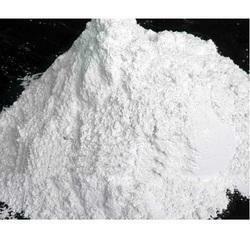 - We supply to our clients a wide range of Kaolin. Our range of Kaolin is available with washed and levigation process. Kaolinite is a clay mineral with the chemical composition Al2Si2O5(OH)4. It is a layered silicate mineral, with one tetrahedral sheet linked through oxygen atoms to one octahedral sheet of alumina octahedra.